Borrowing and renewal information, search-hold requests, and more information. 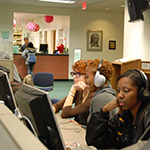 The department holds the Library’s collection of music books and scores, plus instructional videos and DVDs, CDs, LPs and audio books. Interlibrary Loan is a service provided to obtain materials which are needed for research but are not available in the Oviatt Library. 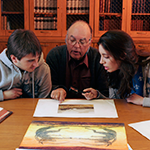 Search for materials on reserve by course number or professor name. 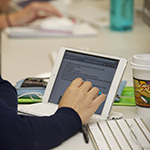 The Library offers laptop and tablet check outs for students. 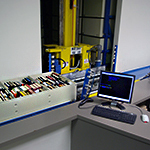 Get more information about on-campus printing for CSUN students, faculty and staff through Lab Printing @ CSUN. 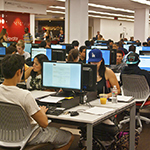 CSUN Faculty members can get more information on services the library provides for them. 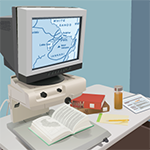 Users with Disabilities can learn more about the resources the Library has at their disposal. 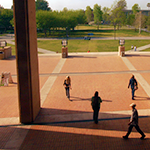 Learn more about resources accessible to CSUN Alumni and the Community.